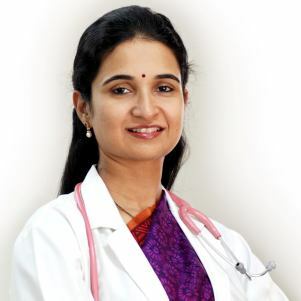 Dr. Sumina Reddy is a passionate Obstetricians and Gynecologist. She pursued her under-graduation from the renowned Os-mania Medical College and post-graduation in OBG from Gandhi Medical College with many academic accolades and highest honors. She then went on to complete advanced training's in Minimally Invasive Gynecological Surgery and Reproductive Medicine. She believes in comprehensive woman care that helps women navigates through various stages of life from adolescence through pregnancy, midlife and menopause with care, compassion and competence. Passed post-graduation in Obstetrics and Gynecology with distinction and highest honor from Gandhi medical college, Hyderabad. Awarded gold medal for securing the first rank in ENT in a class of 200 students. Awarded gold medal for securing the first rank in Pathology in a class of 200 students. Awarded Dr. S. Jaya medal and Dr. S.P. Saigal Memorial medal for securing university first rank in the first year M.B.B.S. among about 2,500 students. Awarded Dr. K. S. Sanghi Memorial medal, Dr. P. V. Ranga Reddy Memorial medal for securing university first rank in Anatomy among about 2500 students.